Water crisis eased with solar energy requiring minimal to zero water supply. Australia can help solve its water crisis by optimising use of water-friendly solar energy, a new report concludes. Because solar power generation consumes minimal to zero water, it beats water-hungry coal-fired power production in terms of conserving an increasingly precious natural resource. That’s the verdict of the World Resources Institute (WRI). Its new report points out that solar energy is therefore not only clean, but critically important in water conservation. Solar energy generation uses minimal to zero water unlike water-hungry coal-fired power plants and the Snowy Hydro scheme. And because energy production accounts for around 10 per cent of the world’s water consumption, solar power can play a crucial role in tackling the world’s growing water shortage. The cost of water grows along with its scarcity. Infrastructure Australia says a typical annual water bill could exceed $2,500 in today’s terms by 2040. According to the Sydney Morning Herald, every megawatt hour of coal powered electricity generation withdraws around 60,700 litres of water and then consumes about 2,600 litres. 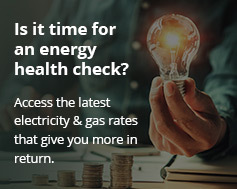 Australians have already used 147 terawatt hours of electricity during the financial year to date. Around 73 per cent of this figure was generated by coal using 455 billion litres of scarce water. Meanwhile, the Snowy Hydro scheme is entirely dependent on water to generate electricity. On the other hand, it would take a solar farm covering around 6,270 square kilometres to power the whole of Australia with clean energy. This is a mere 0.1 per cent of the entire land mass. Add commercial energy storage like the Tesla battery in South Australia and this power source then has 24-hour reliability. Australia is ranked 17 in the world for solar energy potential according to the WRI report. In scientific terms, it reaches 232.5 in global horizontal irradiance wattage per metre squared. This is a measure of the strength and concentration of the solar power hitting a solar panel. Australia should be aiming for 100 per cent renewable energy according to global clean energy pioneer Yosef Abramowitz. However, opposition from the fossil fuel industry is holding it back. With solar energy accounting for just over 5 per cent of Australia’s power, it’s failing to meet its full potential.